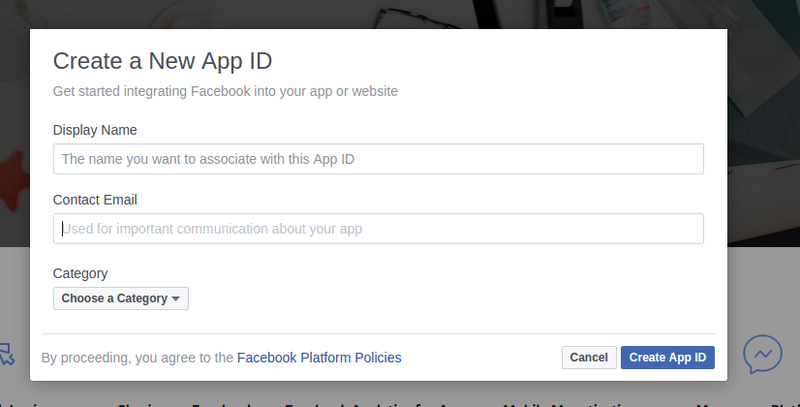 In the top right corner, if you never developed a facebook app before click ‘Create App’ button or else in select ‘Create App’ option in the drop down below your previously created apps. 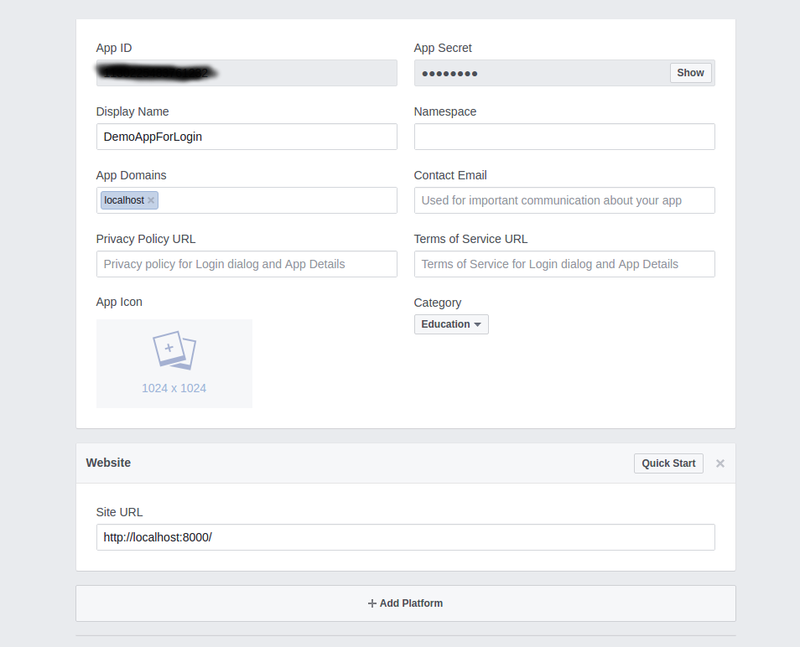 After creating a sample app, In you setting section, you need to fill details like ‘App Domain/s’ and ‘Website URL’ where you app is used. I just set them to local host for now.